There are so many decisions to make before a vacation or day trip to a new destination. If you are a wheelchair user, these decisions can be daunting to make instead of fun because some places may not be accessible to you. We’ve created a list of places that are wheelchair accessible in St. Augustine in hopes that planning your next trip to the Old City is more fun and less stressful! Hotels and bed and breakfasts with wheelchair accessibility. From cozy waterfront hotels to one of the St. Augustine Historic Inns, there are many accommodations with wheelchair accessible buildings in St. Augustine. La Fiesta is located right on St. Augustine Beach and only a quick trip from restaurants and boutiques. They have one wheelchair accessible room with a wonderful view of the gardens and waterfalls. There is also a handicapped parking spot right outside and a shower room that is spacious and easy to roll into. On hot summer days, La Fiesta’s grand pool with a chair lift makes for the perfect place to cool down. Additionally, don’t forget to call ahead and have one of St. Johns County’s beach wheelchairs dropped off so that you can spend the day on St. Augustine Beach! Casa de Suenos is in the heart of downtown and is also a member of the St. Augustine Historic Inns. It is a quaint bed and breakfast with private parking and a complimentary breakfast, evening social hour, and evening dessert! They have one large room that is accessible to wheelchairs. The room features a large shower space that is easy to roll into. More accommodations with wheelchair accessibility. Guy Harvey Resort – The Guy Harvey Resort has ADA compliant wheelchair accessible rooms with queen beds. Hilton Garden Inn – The Hilton on St. Augustine Beach has two different wheelchair accessible rooms, one features a king bed and the second has two queen beds; they each have a roll-in shower with attached seating, and a lowered vanity and closet shelf. Hilton Historic Bayfront – The Historic Hilton is located right on the bayfront, it has wheelchair accessible rooms as well as a pool with a chairlift. Don’t forget, many attractions are wheelchair-friendly. Alligator Farm and Zoological Park – The entire park at the Alligator Farm is wheelchair accessible. The entrance way to the Castillo de San Marcos. 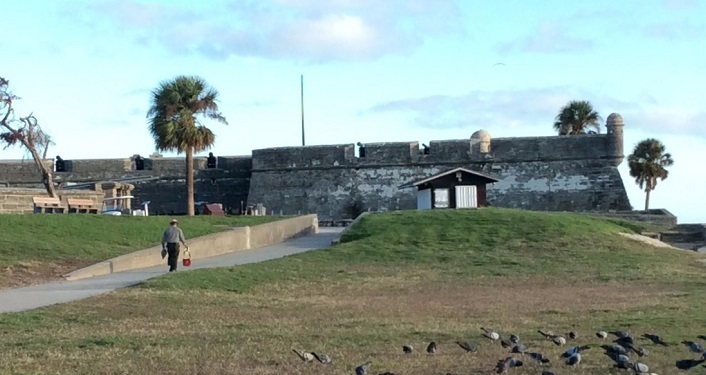 Castillo de San Marcos – The entire lower floor of the 323-year-old fort is wheelchair accessible including the theatre, gift shop, museum, restrooms, and bookstore. Ripley’s Believe It or Not! Museum – Ripley’s Odditorium is wheelchair accessible and has an elevator you can take from floor to floor. The layout is spacious and there is plenty of room to maneuver a wheelchair. Pirate & Treasure Museum – The Pirate & Treasure Museum has a wide ramp leading from the courtyard to inside. The entire museum is on one level and has a spacious layout. St. Augustine Distillery Tours – The Distillery hosts free tours on a first-come-first-serve basis. The building is quite large and the staff guides wheelchair users through a separate entrance to the gift shop that is wheelchair accessible. Old Town Trolley – The Trolley has two wheelchair-friendly trolleys. Riders using a wheelchair can enter and exit the trolley from their main station. Enjoy the Sunshine State and get outside! Beaches – St. Johns County has three beach wheelchairs on hand that visitors and locals alike are welcome to use. The wheelchairs can be rented for free on a first-come-first-serve basis so be sure to call ahead! On your scheduled day, a county employee will drop off your beach wheelchair at your desired location. 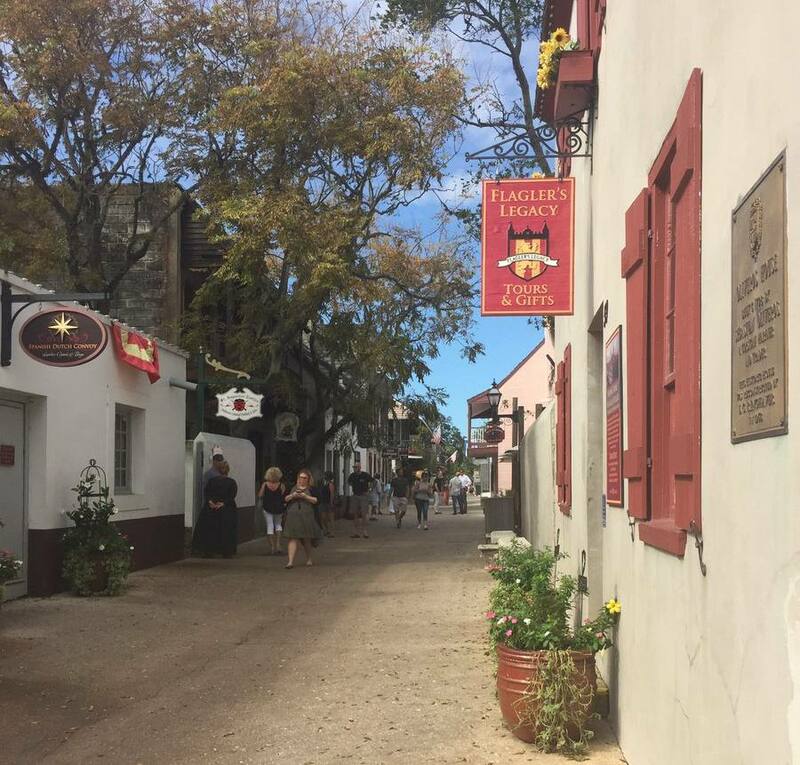 St. George Street – St. George street is one of the most popular streets in St. Augustine and is closed to vehicular traffic. Along the street are restaurants, boutiques, and shops and the majority of them have a flat doorway entrance. Although the street can be crowded at times, it is extremely spacious. World Golf Hall of Fame – The World Golf Hall of Fame is home to two golf courses that are wheelchair accessible bearing in mind you have the right technology. 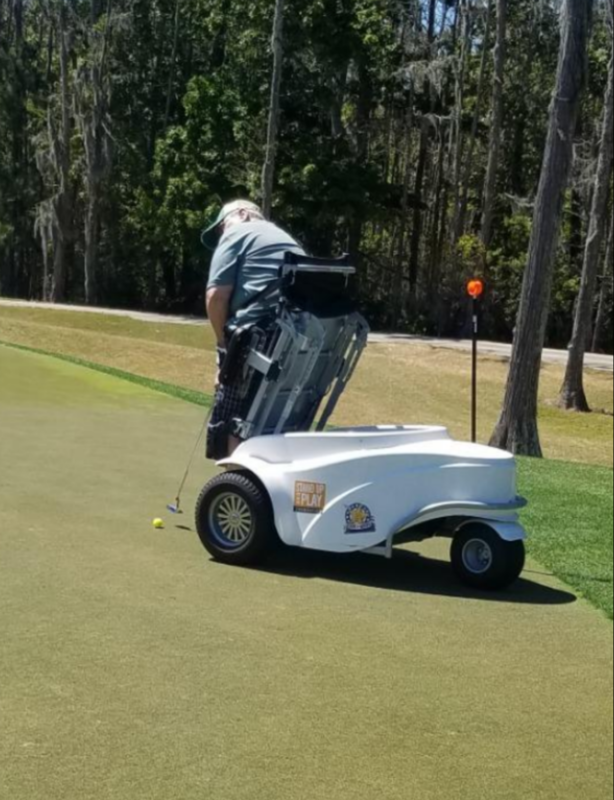 Although golf cart paths are paved, it may be tricky to navigate the course on your own without a ParaGolfer wheelchair which is designed specifically for golf. Grab a menu from one of these wheelchair accessible restaurants. 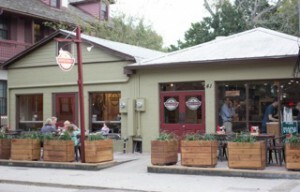 Anastasia Diner – The diner on Anastasia Island is the perfect place to stop for your favorite breakfast dishes. They have omelets, two egg specials, sandwiches and sides like pancakes and fruit. Don’t worry about accessibility here. Although they have some barstools and booths, the tables they have are low and there is a handicap parking spot right by the front door! Maple Street Biscuit – If you’re looking for a traditional southern breakfast then you must try Maple Street Biscuit which features a menu of truly unique biscuit combinations. Additionally, there are no steps or ramps leading inside and the venue is large! Gas Full Service Restaurant – Gas Full Service is just the place to spot for a traditional American lunch. They serve burgers and fries, fried shrimp salad, wings and so much more! 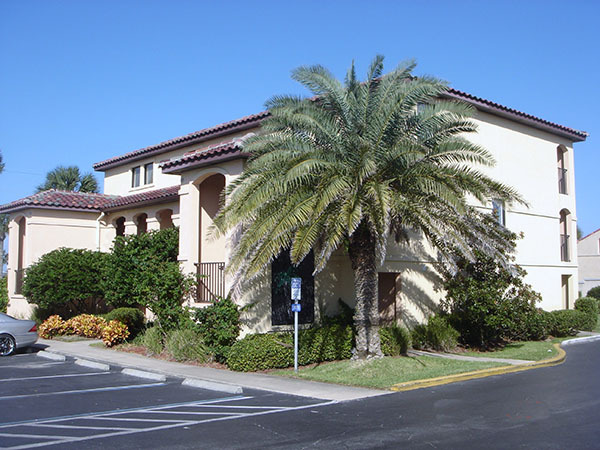 The restaurant is located just over the Bridge of Lions on Anastasia Island, it has handicap parking along with low tables that are the perfect height for a wheelchair user. The Original Likit – The fish n’ chips favorite is located on St. George Street and is the perfect stop for a quick bite to eat. They serve fried cod, chicken tenders, french fries, hot dogs, small pizzas and ice cream. The outdoor eatery makes it extremely accessible to everyone as you can just walk or roll up to the window and place your order. Outdoor seating is located to the left of the restaurant. Harry’s Seafood – Harry’s Seafood is located right on the bay of St. Augustine’s Historic Downtown. Easily accessible, you can roll right into the dining area from the sidewalk as there are no ramp or steps. The outdoor courtyard is spacious and often features live music by local musicians. The Reef – The Reef restaurant is located off A1A N and has a great venue for a romantic dinner on the water. From seafood to tacos, they have a little bit of everything – including wheelchair accessibility! There is a ramp that leads to the front entrance and the staff asks that individuals please not hesitate to ask for additional accommodations. Disclaimer: Every effort was made to ensure the accuracy of the information in this article. Sharing and re-posting this blog is encouraged! Please credit OldCity.com when sharing. 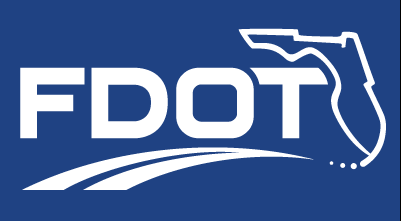 We hope you found this information helpful to your wheelchair-friendly time in St. Augustine. For information on handicap parking, visit our Parking Page!